We’ve been fairly quiet lately, and so would like to give an update on what we’ve been doing and have planned. Mark has spent the last few months writing a series of books on the path of the spiritual sun, and how to walk it. At this stage it’s likely to be released as a number of separate books, as the content would be too large to put into one. It will contain descriptions of the different stages of the path, the key exercises that allow someone to walk along it, chapters on a huge range of different spiritual topics, and accounts from Mark’s own spiritual journey. It will also bring together the information on the path of the spiritual sun found in the traditions that descended from the ancient Religion of the Sun, and will include a lot of excerpts from sacred texts. It will, by far, contain the most detail and content on these subjects that Mark has ever written, and will be the world’s most complete guide to enlightenment. I’m helping with research, and will continue to make videos at Sakro Sawel where I can. We’ll be focusing on getting the books Mark is writing on the path out as soon as we can though. That’s why we may seem to be quiet in terms of blogs and videos, as we’ll be working on the books, which take a lot of time each day to carefully write, research, and put together. There are so many other things we are planning to do beyond this, but we feel these books are so important to finally complete and release, and so will be working on them as our first priority. Thank you to all of you who have supported us, and thus helped enable what we provide. We so appreciate the opportunities we have to continue working, writing, and creating. Some other things we have planned include reviving more of the ancient ceremonies, rituals, and practices of the ancient Religion of the Sun, creating specialized ceremonies for those who would like to celebrate the solstice and equinox on their own, and putting together a special project for making contact with extra-terrestrials. Obviously we have a lot to do and look forward to. We wish you all a magical time over the solstice, and all the very best for the new year. Thank you so much for the work you do. I was so grateful to read this update. Thank you Lara for the update. Thank you and Mark so deeply for all the work you’re doing, it’s a valuable help. Mark’s writing and words always grab and speak directly into my heart, giving me strength and helping me awake. All the information about the ceremonies, solstices and the ancient religion of the Sun is incredible inspiring. It inspires also hearing about the new project making contact with extraterrestrials, looking forward for it. Wishing you both and everyone the best for the new year. Thank you Lara for sharing this wonderful announcement about the progress of the upcoming books detailing Mark’s experience of walking the path of the spiritual sun. The Path of the Spiritual Sun is already a unique and precious resource in the world, which ties together the threads of many different spiritual traditions into a coherent whole. But the book also provides a perspective that academic writers can’t give, which is the knowledge that Mark gained from first-hand experience of following the same path that spiritual figures have walked throughout the history of humanity. This new set of books will add even more depth to the existing material, by clearly demonstrating that the goal of returning to source is achievable for anyone who wishes to apply this work fully to their lives. As well as being inspired by the depth of esoteric experience, which has been shared via this site and its various resources over the years, I have also been motivated and encouraged by the realisation that this work is for ordinary people to do, which Mark has often highlighted throughout his talks and writing. His current online biography already demonstrates clearly that whatever a person’s circumstances may be, there is still hope to move forward. It also shows that by using the tools to gain self-knowledge, we can transform otherwise crippling adversities into a source of learning and wisdom. Having tried many avenues to find happiness throughout my life, I’ve realised that without a strong foundation of inner change, most achievements in life are ultimately valueless, as although they may bring material benefits even for many years, all of this becomes insignificant in the context of eternity. It’s awe-inspiring that through Mark’s own efforts to gain self-knowledge, he is now in a unique position in the world to pass on a comprehensive guide, which anyone can take up. It’s also incredible to think that copies of the books, which are now being completed, could potentially provide the same tools to awaken for an entirely new humanity, even thousands of years into the future, just as the discovery of The Nag Hammadi library in the last century unearthed a spiritual treasure trove, which shed new light on the Christian teachings nearly two thousand years after Jesus’ death. But whereas the effects of time passing unfortunately destroyed some parts of those ancient texts, rendering them incomplete, or making their meaning obscure, I feel that we are now in quite a privileged position, as despite the rampant materialism of this era, we will soon have access to a complete and easily understandable spiritual resource, which any of us can apply to our lives. I wish you both every success in getting this important message to the world and hope that it can help many people to transform their consciousness in a way that lasts beyond the duration of the physical body. I also look forward to the additional projects that have been planned and wish you and everyone practicing this spiritual work a strong year ahead. Thanks for the update Lara. This is very inspiring to read and it must be a huge job for Mark to write that much, and for you to do research. The prior book, The path of the spiritual sun is already a very detailed book bringing many resources into one bundle. I’m looking forward to the books that follow and I wish you and Mark all the support and help you need. That’s very interesting news for the new year. It becomes a precious present for all those who seek inspiration and enlightenment in the middle of this labyrinth of information and books about spiritual, a work by someone who can give an authentic map reviving the path of the spiritual sun from his own experience. Thank you Lara, Mark and everyone around you for the update and what you do. Thank you so much Lara for what you and Mark are doing for the world. Thank you for shining light! Thank you so much for letting us all know and for everything you are doing, it is a great support to us all, and also the book sounds incredible. Thanks so much for the update. This sounds really exciting. Your books are such an incredible inspiration, and each one seems to get better than the last. This sounds like an incredibly huge task for you both. It is so very much appreciated. I hope these books spread far and wide. Thank you for the update Lara. That is wonderful news on what you and Mark are working on. Thank you Lara for the update. I am also very grateful for Belsebuub’s books. They cover topics that are very relevant to my life and enable me to communicate with my own heart. I am particularly grateful for the ceremonies given in the Path of the Spiritual Sun. Through focusing on them I have been able to read The Path of the Spiritual Sun in a more active way and get more out of it. Other than that I am wondering whether there is any way that I can contribute to your work through research into my own culture. This is really exciting news Lara – the books sound really incredible as do the other projects you’re planning as well. Thank you both very much for everything you’re doing to bring this information to the world. I’m sure it’s no easy task! Wishing you much strength and support as you work on the books and other projects. This is fantastic news and I really look forward to reading these new books, I also really appreciate all the effort you guys are putting into spreading the spiritual work. Thanks for updating us Lara and Mark. What you do for us and generally for the good of humanity is incredible and very inspiring. The news are amazing. I can’t wait to read the guide to Enlightenment and hopefully put it to practice. I hope you have all the strength and whatever else you need for this work to be finished succesfully. Fantastic news, thanks for the uplifting update Lara. Thank you Mark and Lara for all your hard work that you labour at to help us all. Wishing you both a magical Solstice. Thank you Lara for the great news, and for all that Mark and yourself do and hope for all of us through the projects ahead. Mark just wanted to let you know how inspiring, uplifting and understanding your words are and how much I appreciate your explanations. I have written on a note on my desk something you said about the things we go through in life, in one of your many wonderful talks you have given, that helps me a great deal, which is to ‘put it into the context of the awakening’ and its a great reminder for me to make use of what I am go through from day to day, as that moment will pass and with it the opportunity to have learnt. Your book, The Path of the Spiritual Sun, for me is like a treasure and gift to all of us as a humanity of what we once were and what we can be again, and your book Searchin Within is a gift to the human heart that uplifts us and gives us a way to understanding, and I can’t thank you enough for how valuable that is. Wishing you and Lara a very happy solstice and look forward to your new works. That is beautifully said Layla. I concur wholeheartedly. I too find Belsebuub’s words and writing a great support. It seems the difficulties and challenges we all face in life when we try do an inner work are similar in principle to those along the path, though on different scales. So then to have Mark’s insights on how to face things, from his writing and from his story, becomes invaluable guidance to carry with us. For me also, due to Belsebuub putting them into context, ancient sacred writings become alive! “…and as it is spent, so shall it be replenished.” These things also stay with you, the wisdom an inspiration and something you’re in awe of when hearing it, and then also a guide as we start to see these principles in the experience of our own life. The ceremonies of the spirituality of the sun too. I’m looking at an image right now. Of someone representing the Heavenly Father and someone representing the Mother Goddess, looking out over a vast predawn valley. There’s a message in it. Because the ceremonies and symbols are representations of divine events, and nature and life. It is wonderful to have the opportunity to gain insights and be able to learn about life from seeing this spiritual wisdom manifested around us, through these ceremonies. …Another year has started. Let’s go for it!!! Thanks so much for this wonderful news Lara. I am so grateful to be part of this community and have access to these teachings – they really do transform your life! I look forward to the books that Mark has been working on and feel both excited and grateful for the new projects to come. Thank you to both of you for all you hard work and commitment and I hope that you enjoy your Solstice time as well. Very apt image. I hope that with continued work things can strongly bloom, blossom and reach out. Thanks for relaying this message about what is being worked on by you behind the scenes. I can see why sometimes it’s good to decide to more fully focus one’s attention on a project in order to be able to finish it.Wishing you all the best every single day with your work on it! I know that body of work is going to be quite something…. and I truly hope that in time it gets its place in society and will be accessible to people searching for the spiritual work to become alive. Hope you, and others too, had a solstice time of deep connection to the spiritual side. Thanks for the update Lara. Sounds like those books are going to be a truly one-of-a-kind, powerful spiritual resource for people, with the most depth, clarity and level of comprehensiveness yet put to paper on the subject. They will be well worth the wait! I wish you and Mark all the very best in your efforts. I hope you had a wonderful Solstice and wish you both all the best for 2018. Hi, Lara. Thank you for this update. It’s inspiring to hear about the new projects. I’m looking forward to see Mark’s books out! Thank you both for your tireless work. Wish you all the best. Thanks so much for the update, and all the work that you do. I can’t wait to see the new books when they’re released. Also, a project for contacting ET sounds very exciting to me. So many new and wonderful things are happening. Wishing you a beautiful Solstice time. I’m very much looking forward to all of this! Thank you both so much for everything you do. I wish you both an inspiring and peaceful solstice. Thank you Mark and Lara for labouring at the task of writing and researching these new books which should like they will be incredible. Wishing you both all the best with it and with all the future projects. And a happy and uplifting solstice to all! Thanks very much for the update, Mark and Lara. Some really exciting things ahead then 🙂 Wish you both all the best while working on these immense projects — and thank you for all your hard work and for sharing it with us. Can’t wait until all the new books come out – that along with all the other projects planned will be truly something! Thanks for the well wishes over the solstice and into new years. I wish you and Mark the same. Thank you for the update, Lara. The coming books and projects sound incredible! I’m sure from the wealth of knowledge that Mark has, volumes could be written on just a small part of the path, let alone the entire path of the spiritual sun! Wishing you both a happy solstice, plus lots of strength and guidance in writing, researching, and expanding the spiritual knowledge of humanity. It’s really uplifting to read this update. Thanks very much for all the continued efforts behind the scenes, and I wish that you receive the support needed to keep going — especially with such awesome future developments to look forward to! Thank you very much Lara for updating us on the work you have been carrying out. The books Mark and you are working on sound like something extremely valuable and much needed for today’s world, and I am really looking forward to diving into them and hopefully applying in my daily life. Many thanks to you both for your continuous efforts to bring this hidden spiritual knowledge to humanity in ever-renewed ways and wishing you a beautiful solstice. Thanks for the update Lara, exciting times ahead! Big thanks to you and Mark for everything you do, and wishing you both a very magical solstice as well! Like others have mentioned, thank you for this uplifting update. Its hard to grasp what it would be like to receive a complete guide to enlightenment, but having a record of the path layed out by someone like Mark, who is at such a far if not almost complete stage of the work, will be an incredible and priceless gift. It would be equally incredible to become a supportive link to all the work being done, by our own example, and through deeds of love. May everything you do reach far and wide! Thank you Lara for this update. I am looking forward to the new books but especially I am looking forward to the new project for making contact with the ETs. I also wish you a wonderful solstice and all the best in the new year. Wow , its a great dawn for spiritual seekers that are open minded and adventurous in a spiritual sense. 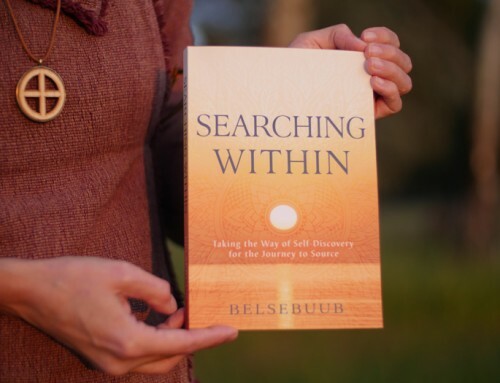 Belsebuub ‘s work and books are a true gem and a waxing light in this dark world we find ourselves in. How fortunate i am to be exposed to this spiritual work, how many people seek authentic spirituality but never find it , its mind boggling and i am humbled to merely just be aware of this. I wish much strength to the master of our times , you are the light and hope, keep fighting for us, cannot thank you enough. Also to the team and Lara , thank you as well and i would like to pitch an idea on you guys starting a podcast ! Podcast is a growing channel to get to masses and its popular because of versatility in the sense a person can listen to it anywhere and would give much encouragement and motivation to all who are trying to revolve their lives around this apiritual work . Just my 2 cents . Thank you!!! I agree that podcasts are a great tool. I’ve got a lot from Belsebuub’s various talks over the years, so thought you’d appreciate some of the links below, as there’s a wealth of information about a wide range of spiritual topics, which are covered in this website. I used to listen to a talk each day for many years and really got a boost from them, especially during difficult times. There’s literally hours of material to go through and I’m sure you’ll get a lot from it. I hope you find those links useful and I wish you all the best in your spiritual search. Sounds wonderful Lara! Thank you for the update on what you’ve both been working on. Mark’s upcoming books sound like a very special gift to the world. I’m excited to read the new books and will be very happy to see those released to the greater public. Thanks to both of you for all your hard work! Thanks for the update, Lara, and thanks so much for all you and Mark have been doing to bring Light to this world! To me, yours and Mark’s works are invaluable and I’m sure that is the feeling of most of those striving for the Light who get in contact with your works. Wishing everyone a great solstice experience! Great news all around. Those books sound like an incredible resource, and I’m very much looking forward to when they’re published. Thank you both for all you do and for the update. It’s always good to get a glimpse of all the hard work and planning going on behind the scenes. Wishing you both (and everyone) a very happy solstice. What a truly amazing update! And what a beautiful gift to all! All that you describe in your blog just made my heart leap for joy. I sincerely look forward to Mark’s writing and sharing his experiences. Thank you both very much for all you do and your help to bring forth the light. Thank you too for the update and I am happy to hear that there will be more books released. I am looking forward to studying these books. Thank you Lara for that exciting update. I really appreciate you taking the time to share with us the epic news about the upcoming books and future projects, especially regarding ETs. I’m glad to see that you’re getting the support needed for it and I can’t wait to hear more about it. Thank you for the update! It is just wonderful to see your efforts to explore, revive and spread the message of this authentic, ancient and timeless spirituality. Belsebuub’s teachings had and have such a profound effect on my life – I am looking forward to keep learning and be supportive of your work as much as possible. Wishing you and everyone spiritually uplifting and peaceful time during holidays. Thanks for the update Lara. I’m thoroughly grateful for the books that Mark and you have already released. 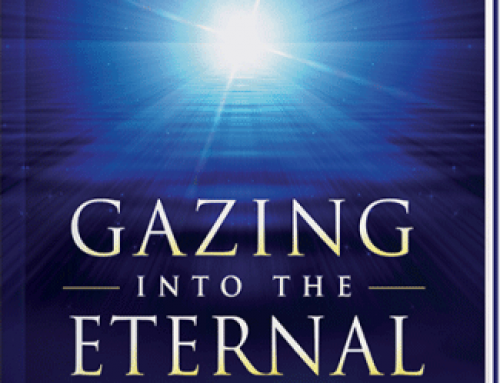 The most recent, Searching Within, revealed many helpful ways in which I could correct my approach to the spiritual work, and my work has become more honest and corrective as a result of it. So, I’m very much looking forward to the new books, which are sure to be helpful to myself and humanity as a whole, and eagerly await the treasures that are sure to be found within their pages! I hope you and Mark have a wonderful solstice. Thanks so much for the update Lara, it’s really encouraging and motivating to hear what you are up to – those books that you and Mark are working on sound really important and I wish you all the best in completing them. It’s great to hear there’s more guidance to come that will help us connect to the spirituality of the sun. Here, embarking on the winter solstice period, I know how precious this teaching is and only hope for it to grow and reach more people around the world searching for the light. Mention of a project to get in contact with extraterrestrials gives me goosebumps – look forward to that being revealed! Wishing everyone a really spiritually strengthening solstice! Thank you for the update Lara. Truly fantastic news and thank you from the bottom of my heart for all your work. I really look forward to reading the new books and to getting inspired by them. Instructions for specialised ceremonies will be very appreciated and I am also very excited about the project for making contact with extraterrestrials. That’s amazing news and I am very glad and grateful to hear that. More than one very detailed book about the path? It will be the most precious present and gem for humanity and each of us and what I can say is very little. I feel it’s a big responsibility for us to make to fulfil it inside us. All these, the ceremonies, the information and practises about the religion of the Spiritual Sun is a big help and inspiration. I truly thank you, Mark and Lara, for your enormous help to underpin humanity with all these projects aiming to bring more light and understanding on a purely spiritual base. Your example is giving more inspiration to carry on and your dedication only words of awe can bring. Wishing everybody spiritual happiness and growth with light into your heart. Happy solstice time! Thank you, Mark and Lara, for thinking of us, because of the quiet period before. I’m one of those who really looking forward to updates and new works to come out but honestly, this quiet time is also quite useful as well to see what I can do without the boost from you and your projects’ developments. The new series of books you are preparing sounds like another epic work to me and I think couldn’t be otherwise since is going together with the even more epic work to revive the ancient religion of the sun. I wish you have all the time, peace and strength to complete this project! Specialized ceremonies and about making contact with ET sounds also very interesting and really looking forward seeing what you will come up with. A magical solstice time for you too and best wishes for the new year ahead with all the support you need!